Mo Abudu is on a mission to restore happiness to Nigerian life. The Wedding Party famously ended with a celebration. The new picture Royal Hibiscus Hotel, directed by Ishaya Bako and which showed at the Toronto International Film Festival last year, ends with a Disney favourite, something about “happily ever after”. Before we get there, we are treated to a storyline that would fit any number of children’s cartoons—not the complex newer ones but the fairytale types. Abudu, who receives story credit, is targeting your actual teenage niece and your inner teenage niece. What she isn’t targeting is any kind of cinematic achievement. 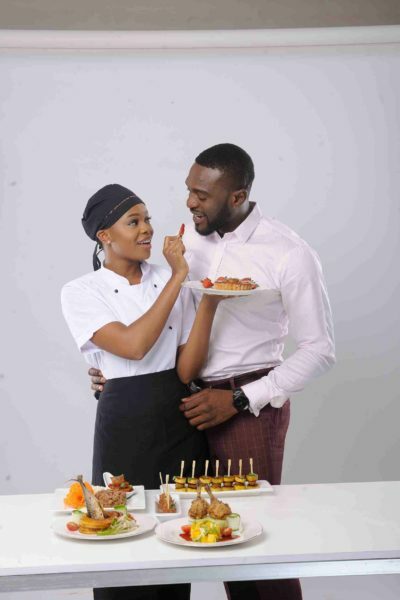 Played by Zainab Balogun, Ope, the film’s centre figure is a chef just from “the abroad”, and looking to take over the kitchen of the titular hotel, which is owned by her father who has somehow accumulated debt and now needs to sell. If you’re familiar with Hollywood tropes you might figure that he can’t bring himself to tell his wife or daughter about the real state of the hotel. We are never quite convinced of anyone’s passion for the place, but we are told it is supposed to be special – to this curiously nuclear family. We are never told how a Nigerian patriarch of Jide Kosoko’s character’s age has only one wife and one female child. There are no ancient family pictures, no flashbacks revealing warm memories, just flora and colour-coordinated furniture. 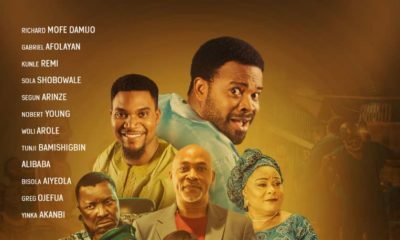 Martin, an uncouth deal-maker played by Deyemi Okanlawon, twists the arm of the hotel’s owner (an excellent Jide Kosoko) into agreeing to a sale and brings in hunky buyer Deji (Kenneth Okolie) to come stay at the hotel for reasons that aren’t quite clear. In no time hunk runs into chef. As expected there are sparks. But only just. The attraction between both is resolutely PG: it is not a relationship; it is an affair modelled on a 13 year old’s crush, with middling clever banter, without the messy mechanics of making love. We get dance, drink, date, and then cut to dawn. Feel free to fill in the blanks. Zainab Balogun is well suited for non-messiness: With her wholesome image, she’s Julia Roberts for the millennial; or a Nigerian Meg Ryan before the 1990s’ Hollywood sweetheart starred in 2003’s In the Cut. And indeed the film takes several parts from the west. The title might remind you of The Best Exotic Marigold Hotel (2011) and The Grand Budapest Hotel (2014); a scene with Martin acting nasty toward the chef might remind you of a scene with a cruel Frank Langella character and a waitress in 2001’s Sweet November; and there is the buoyant optimism of Hollywood comedies sprayed all over the picture and its score. Abudu and her screenwriters seem to have recalled elements of the foreign films they saw growing up and have decided to patch them up for their Nigerian audience. It is sophistication via copy and paste. The result is unoriginal, but cute because of the likeable celebrity cast, with Rachel Oniga playing an overwrought Nigerian mother in the best way possible. (Abudu is not beyond stealing from herself and has remade Oniga in the image of Sola Sobowale’s noisy mum in the first Wedding Party.) There’s also Kemi Akindoju as a flirty receptionist who deserves to be fired, but is just as fun to watch as Oniga. Sadly for the brotherhood, besides Kosoko, the men are upstaged by the women. The whole package is fun, familiar, and forgettable. 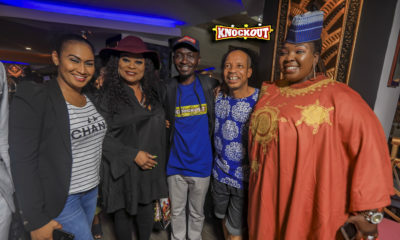 Royal Hibiscus is one more proof that the filmmakers of Nollywood are becoming specialists in making these funny shallow pictures, which is fine for a good time in the dark, but there is a bit of a problem. Consider that throughout this review I’ve referred to producer Abudu more than director Bako as creator, which is a twist on the conventional version of the auteur theory. It’s for a reason. 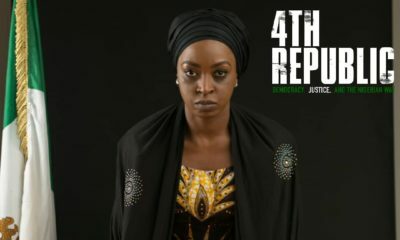 It is impossible to say what fresh insights into filmmaking and Nigerian life have been lost in the sacrificing of these young directors on the altar of Abudu’s chic, relentlessly commercial vision—but it is unlikely to be happily ever after for anyone seeking something more original, more diverse, and less lazy. Or for anyone seeking more than laughs, colour, and celebrity from Nollywood. I am yet to see the movie but from the previews and insights, I think you may be right but will confirm . However, I also agree with you that for every movie we should feel more the impact of the director and his creativity just like I did in the movie 76 and October 1st. Abudu this ,Abudu that. Thanks for your critique. Not every movie made in Hollywood is unforgettable so don’t let it give you sleepless nights. Finally, someone bold enough to speak the truth. Aunty Mo,if by any chance you read BN, pls try and listen to this reviewer. The reason why we don’t grow as individuals is because we don’t like to take negative criticism,its always “oh they are haters”. That’s why after so many years Nollywood is still making below average movies and selling it as the best that has ever been done. I havent seen the movie and frankly i’m not planning to but the preview gives me an insight into all the reviewer said. Mo Abudu is commercially driven. Fun and shallow picture as usual, just as you rightly opined. However, that’s what the average Nigerian wants. That’s what sells. Never bought into any of her films. Reading the synopsis of every single one always put me off at first glance. So fluffy. So mediocre. So unoriginal. I’ll stick to getting excited by anything Kunle Afolayan/Tunde Kelani. Although Kunle’s “The CEO” made me puke. I forgive him. Thanks Oris. Never read a critique so prosaic and relevant to the wider scheme of things. I don’t agree with you.. Nigerians dont want shallow movies, otherwise they wont watch foreign movies (that are not shallow) and we all know that cinema movie sales go more towards foreign than local movies. Nigerians have settled for shallow Nigerian movies because thats all we have gotten but once a few producers, directors and writers raise the bar, they will refuse to settle anymore. I enjoyed this review very much. Oris, I would like you to kindly write a review on “The Bridge”; a film by Kunle Afolyan, which I saw in the cinema back in January. I love Kunle Afolayan’s movies and I feel like if he had the kind of resources that Mo musters, he would absolutely go beyond. A review from a critic of your caliber will help him fine tune future work(s). Still, I salute Mrs Mo Abudu any day. She’s evolving in this arena, and I see her attaining Hollywood standard soon enough. It’s a chicken-egg situation. I can see how her approach could work: churning out enough movies to be in the black, at which point you would then have enough wiggle room to explore movies with a more creative storyline. I would never fault Mo Abudu for releasing commercially viable movies. It’s a business model that makes economic sense. Being business minded is never a bad thing. We may have lowered standards generally and are more accepting of mediocre jobs en masse… I would never fault anyone that looks to exploit that arbitrage. To each his/her own. I agree. There are so many themes, ideas that can be explored in Nollywood. Most of the movies always run around the same themes. When I usually see the hype and then watch the movie it’s falls flat of expectations. Nollywood has potential it can be better yes there are some good movies, we need to do better and produce more engaging movies. As in. Too many themes. Too bloody many themes to be stuck in the same darn genre year in and year out. By the way, IrokoTv, you’re wholly guilty of recycling 1 story in 1000 different productions as well. Paying you monthly subscriptions for what I don’t know…. Nigeria as a country is full of such colourful stories that you wonder why we struggle to tell most of them. Just walk out of your door on any given day, stories upon stories await you on the outside. That’s just present day experience, without even delving into our collective histories from our different corners of the country. I repeat – too flipping many themes. I feel every nuance of the critic’s frustration. And Orits, you sha cut to the chase…. wella. Oris! let me give you money for coke! Spot on! Thanks Oris for so eloquently putting into words what has been gnawing at my mind. That bit about the story line fitting into children’s cartoons made me laugh but it’s so true. What’s the use of bringing such brilliant directors if you won’t give them creative freedom? Dear Mo I love you but it’s time you let go of the reins in the area of film making, your movies are already gaining a reputation of being all glitz and no depth and we don’t want that,do we? Okay people. Fess up. You all work for Aunty Mo and are now bored. ? Nigeria, we created the beast and beasts are hard to tame. We should have insisted on standards from day one but we were busy saying ‘but they are trying ‘ There is no trying in movie making. There is training then growing through practice. Now can we please shut this system down and restart??????? Can they all come together and create a very good movie? I’ve watched few of Mo Abudu’s movie but they could try partnering with good directors/producers in Nollywood do do something epic. @Oris Aigbokhaevbolo Thanks for this review. Its sucha breath of fresh-air!! Thats why people go to ‘Rotten tomatoes’ and ‘IMDb’ to hear the truth. You might face some resistance and push-backs but keep going, people will eventually pay you to tell the truth because thet dont get it anywhere else. You are doing what no one else does – especially in Nigeria so it will definitely pay off with time. People will come to your page to read ‘frank reviews’. Nice review. No doubt, Mo Abudu’s cinematic vision overwhelms her directors. But I doubt if “strong and confident” directors like Izu Ojukwu( 76 movie) and Kunle Afolayan would tolerate such overbearing presence by the executive producer. We need more people like Oris in Nigeria. This isn’t only about movies, this cuts across all sectors in Nigeria. One thing you have to understand is that the money is concentrated in the least innovative or creative who have no eye for science, technology or the arts in Nigeria. What we need in Nigeria is an elite or some wealthy person with the semblance of the Medici family from Florence (read on them and see why the Europe’s renaissance culture started there) to sponsor our creatives and give them artistic freedom. Our wealthy, including our so-called elite ‘royal’ families are the most uninspiring, unprogressive in the whole wide world. It thinks about the now and not the future. That is why they never have generational wealth and substantial legacies. When they die, that wealth which they may have gotten from questionable means die with them. We are never told how a Nigerian patriarch of Jide Kosoko’s character’s age has only one wife and one female child.